Great hostel! Location was super conveinent, staff was great. Loved it, definitely recommend! 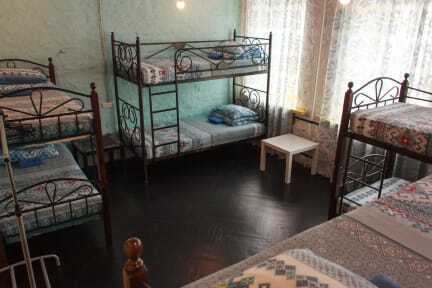 Nice hostel with friendly staff. I found it quite comfy. Great location and nice clean rooms. However they have the smallest showers I have ever seen in my whole life. Still worth it and totally recommended! Perfect place to stay! Room was great, we had a small problem with the shower and that atmosphere was a little bit quiet but otherwise was a great place to stay! First Staff couldn't find my website booking, then charged us more money than stated on my booking, then they only booked us for 1 night despite asking for 2, we only found this out the next morning when they tried to force us to pay the price of 2 nights for only 1. Staff were rude and had appalling customer service, threatened to call the police rather than allow us to pay the price that was quoted. staff are rubbish at their jobs, don't want to help, only rip you off and give bad service. The bedroom opened up into the common room, was hard to get to sleep. Bed wasn't comfortable. Individual charging socket is nice. There were only two showers on the ground floor so had to wait at times. Location is good however just didn't feel like I'd stay again if I revisited.